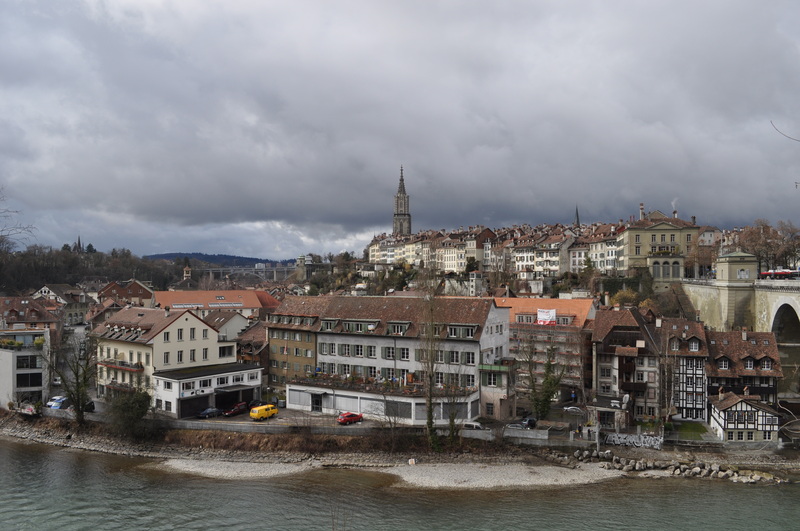 After a series of mishaps in which Isaac was forced to spend a night in Toronto without his luggage, Isaac finally arrived in Geneva, Switzerland, on Saturday, February 26th – only a day after he was scheduled to arrive. 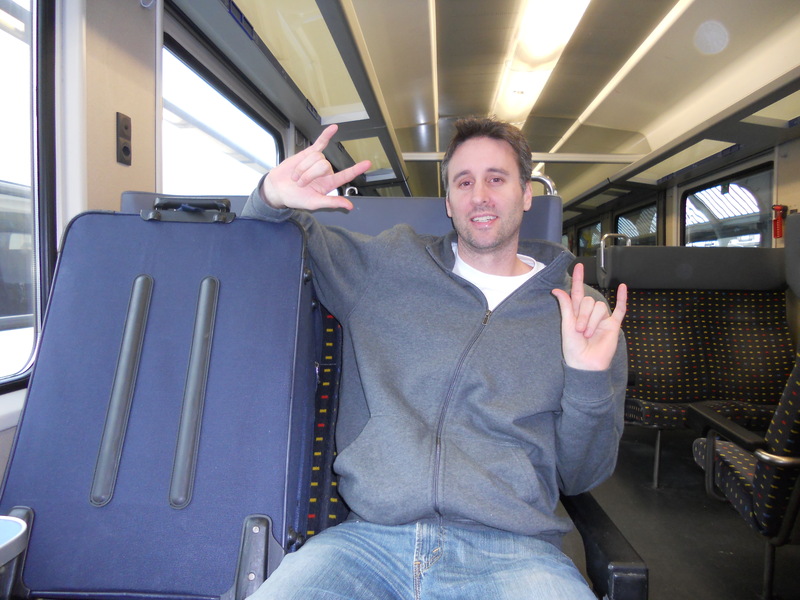 I caught a 6am train to Geneva (the 12th country I have now visited!) and got to the airport an hour before Isaac’s plane was scheduled to arrive. Finally, after two hours of sitting nervously in the airport, Isaac finally came through the foreign arrivals gate! Man was that a relief. Isaac (and his luggage) finally arrived!! 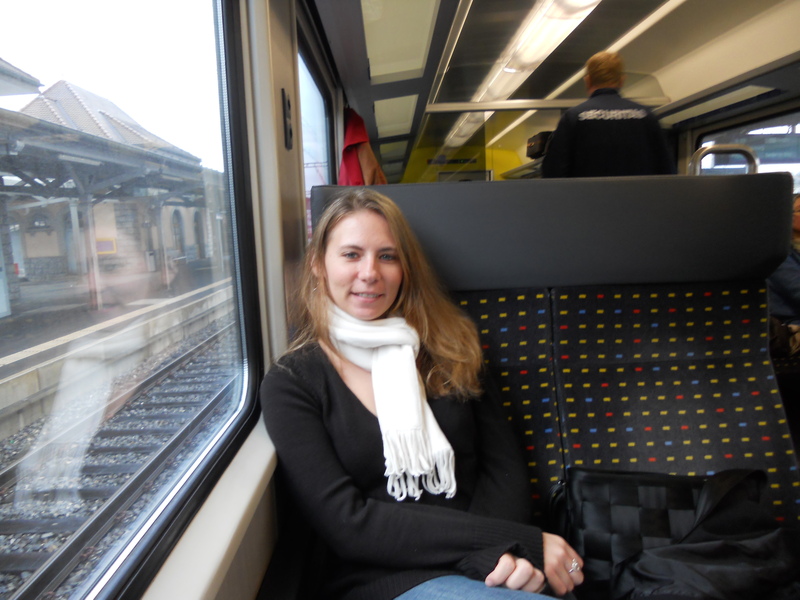 On the train from the airport to Lausanne. 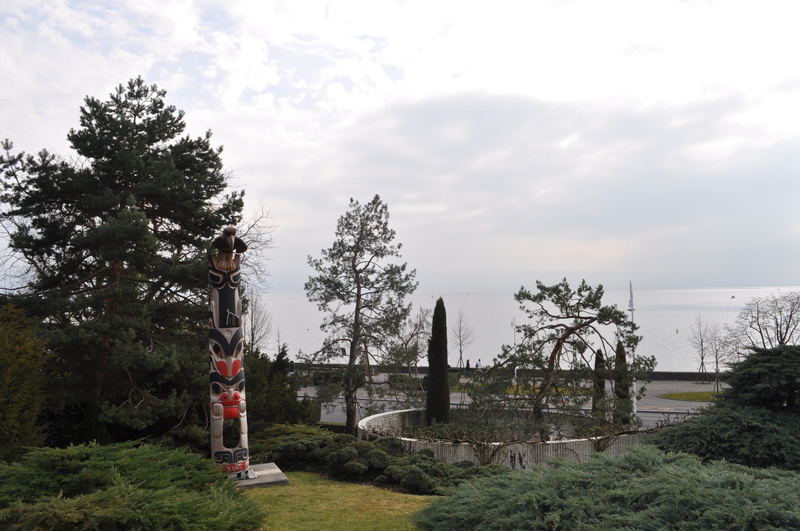 We had decided to stay in Lausanne, about 30 miles from Geneva, situated on Lake Geneva. 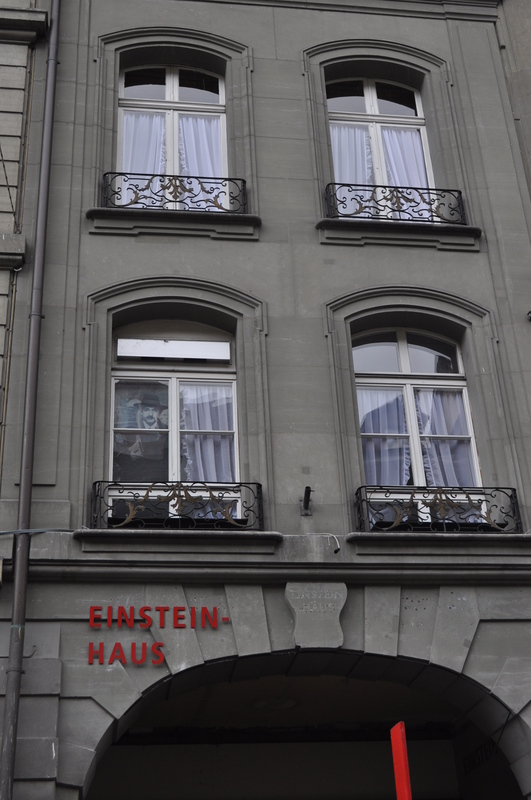 After arriving in town, we wandered all over downtown Lausanne until we found our hotel, the Nash Carlton. It was beautiful. 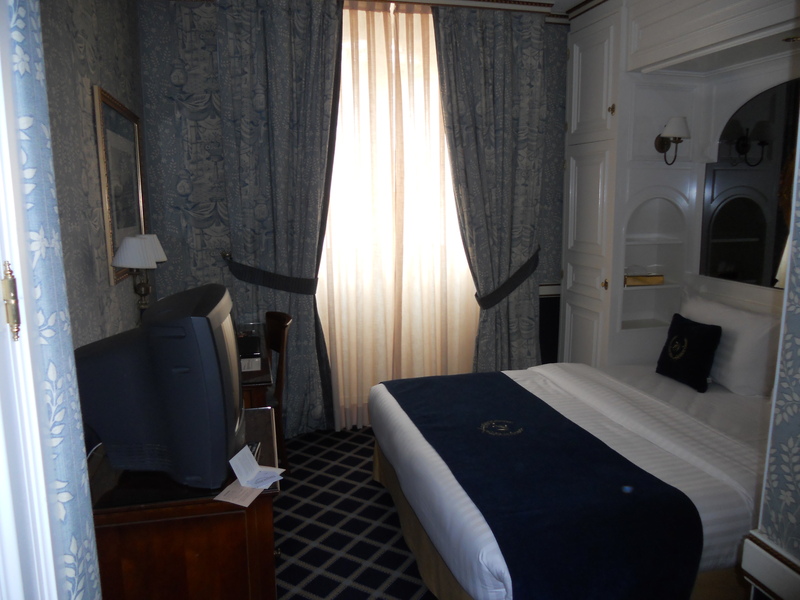 Our hotel room. Nice pick, Isaac. 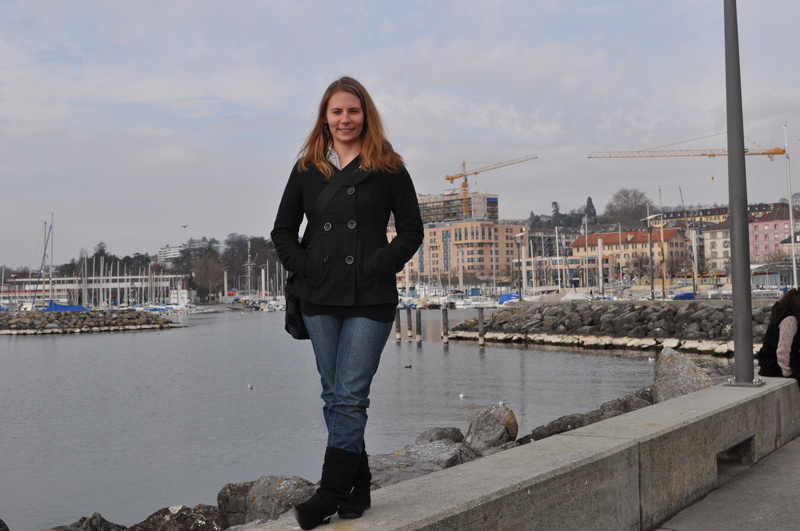 After checking into our hotel, we explored the city and walked along the waterfront. 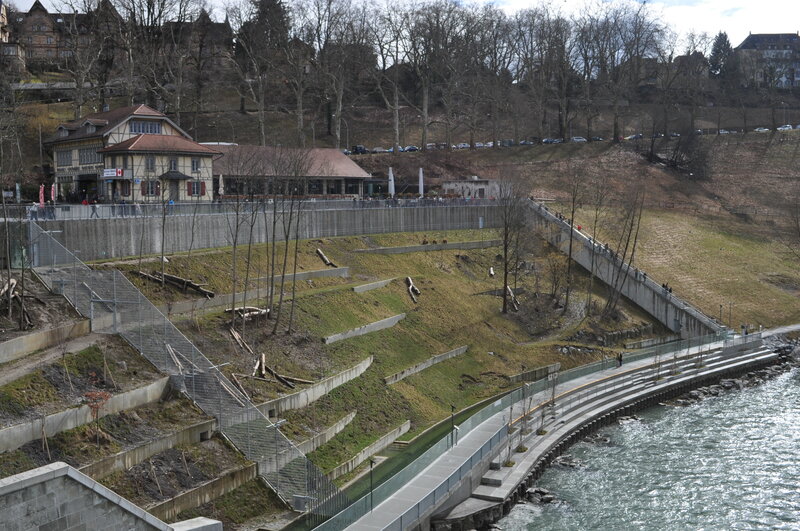 On the banks of Lake Geneva. Our first awkward self-photography shot in over two months! 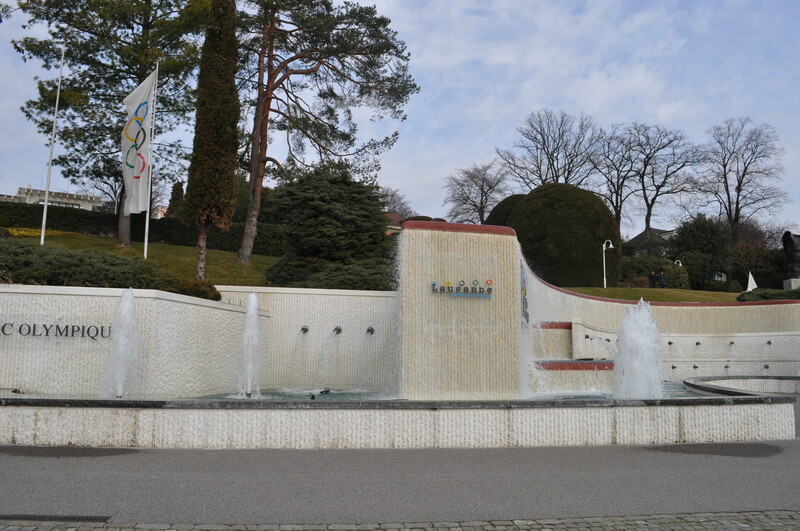 We also wandered around the grounds of the Olympic Museum. We didn’t check out the exhibits inside, but the grounds alone were good enough – they had a ton of sculptures celebrating various sports and aspects of the Olympics. 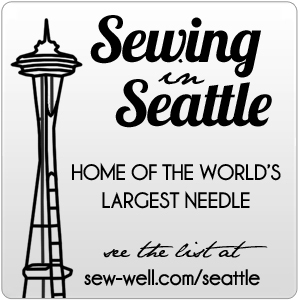 The entrance to the Olympic sculpture park and museum. We also went out to eat and enjoyed a delicious lunch, which was probably the most expensive lunch I have ever had. Holy cow, food in Switzerland was EXPENSIVE! I thought food in France was pricey, but Switzerland makes France seem downright cheap. It’s kind of scary. 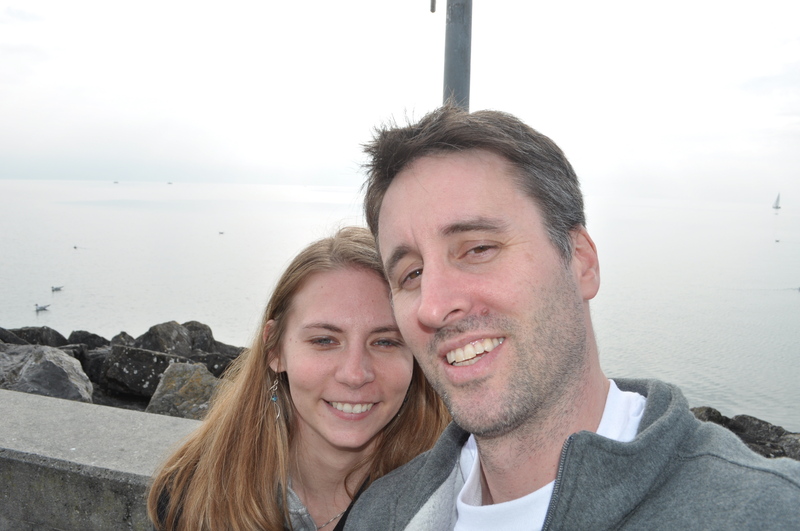 Overall, we had a wonderful first day in Switzerland and a wonderful first day together after being apart for two months. 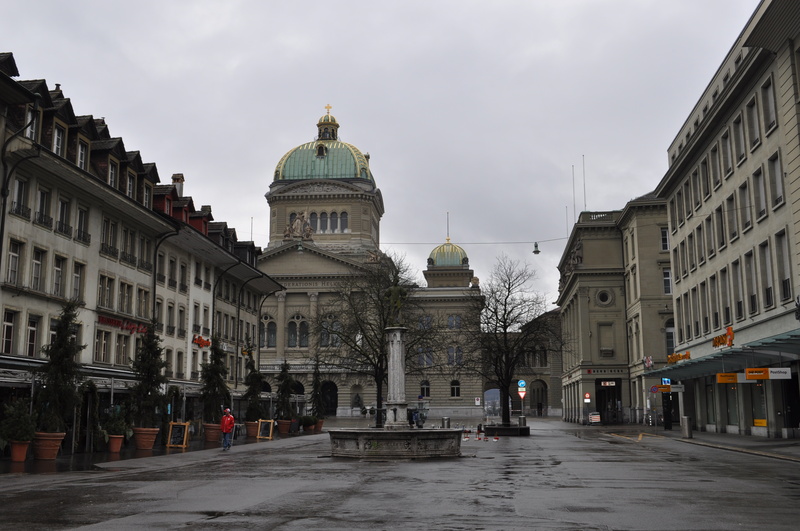 On Sunday morning, we took a train to Bern, Switzerland, which is the capital of Switzerland and is located in the German speaking region. 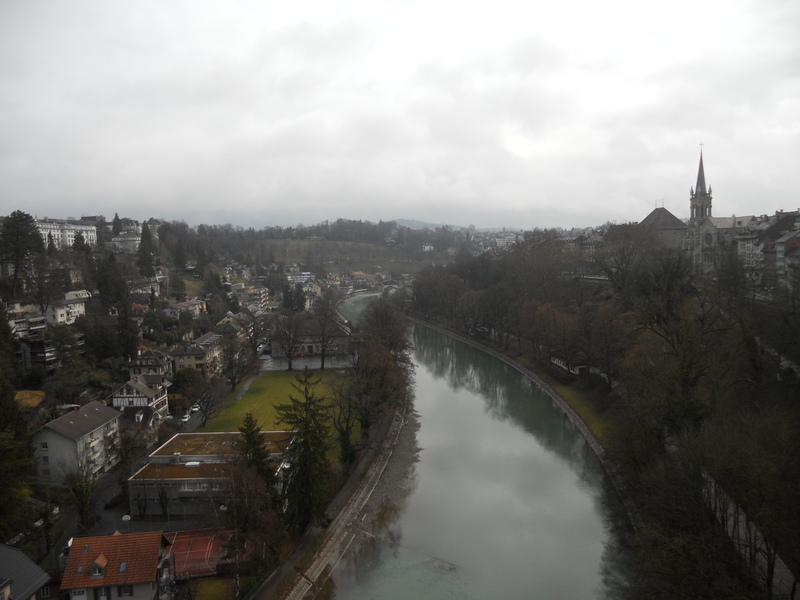 We were originally going to go to Lucerne, but Bern ended up being a much shorter (and cheaper) trip. On the train to Bern. 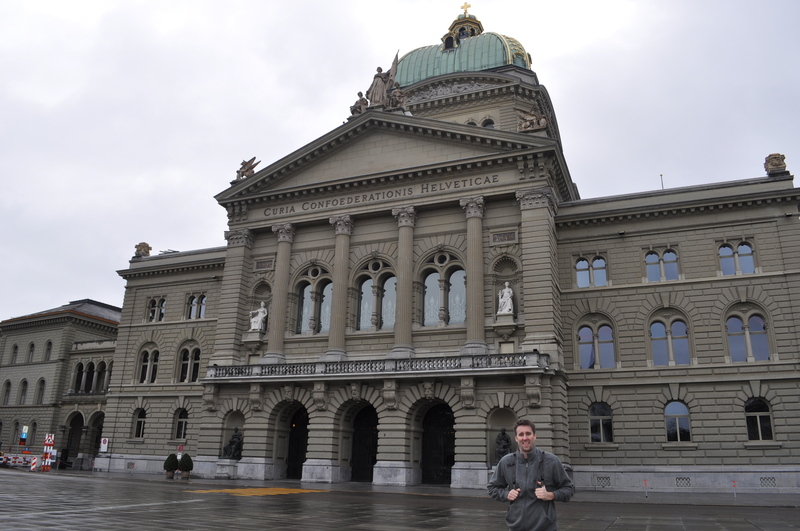 Upon our arrival, we wandered around checking out a few of the most important sites, like the clock tower, the Swiss bank, and the Senate building. The streets alone were gorgeous, with tons of little fountains situated everywhere. If Germany is anything like the German-speaking area of Switzerland, Germany is definitely moving up on my list of places to visit. First shot of downtown Bern, with the Senate building in the background. Isaac in front of the Senate building. 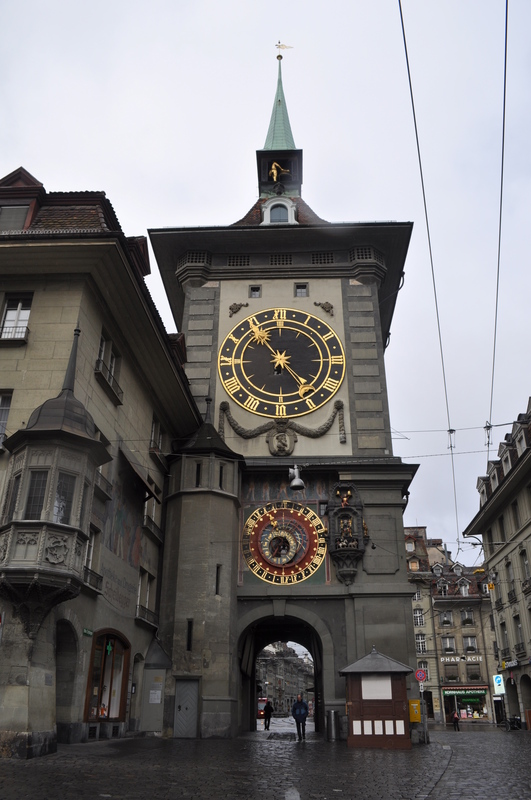 The clock tower, which does a sort of puppet show every hour. After finding a lunch spot (harder than it sounds at 11am), we resumed our walking tour of the city. Unfortunately, the weather was pretty awful. But we dealt with it and saw everything we wanted to see. 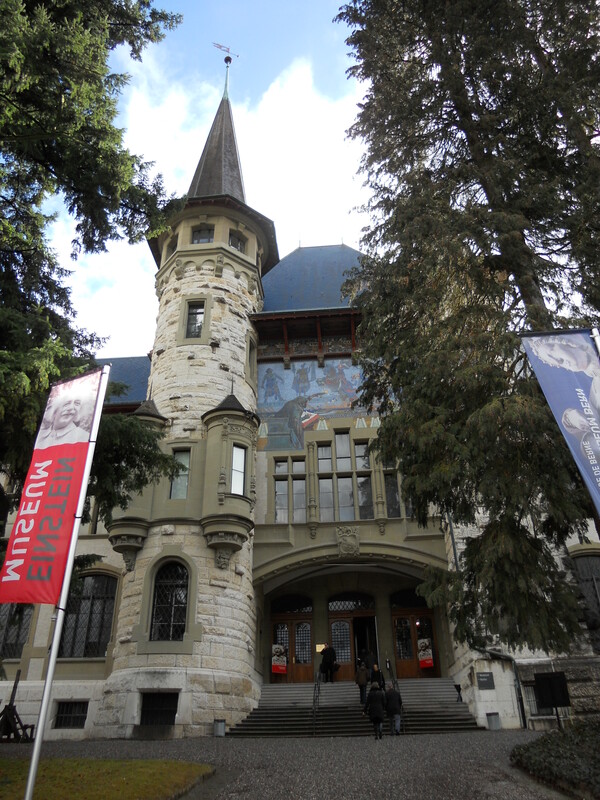 We saw the Bear Pits, Einsteen’s Swiss apartment, the Bern History Museum, and stopped at the Alpine Museum (per Isaac’s request, of course). 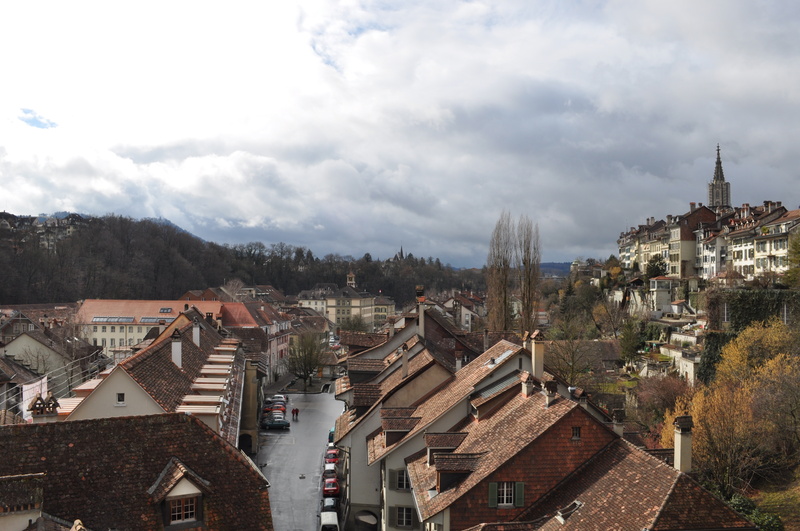 After grabbing dinner at a Burger King (shameful, I know – but quick and relatively cheap), we caught a train back to Lausanne. 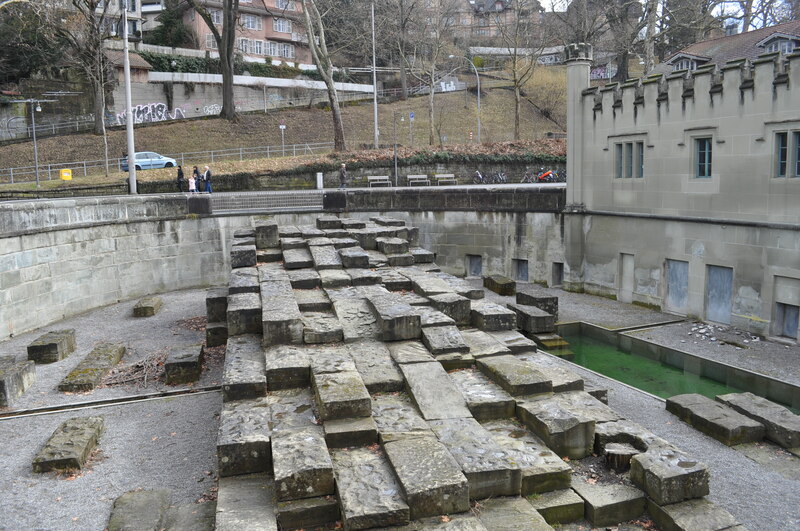 The bear pits, where the bears owned by the city are kept. Apparently, Bern has had bears as its mascot forever and has actually owned bears for hundreds of years. This is the more humane area in which they've been kept. The bears also now have this area on the side of the hill in which they can roam. It's a very bizarre thing. There were three bears there that day - they are walking along the top of the area on the right side. 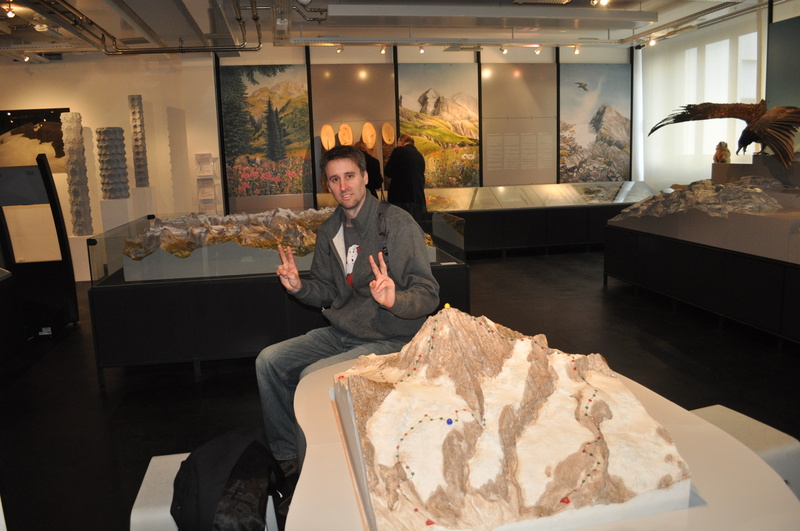 Isaac gloating over his victory at the mountaineering game at the Swiss Alpine Musuem. 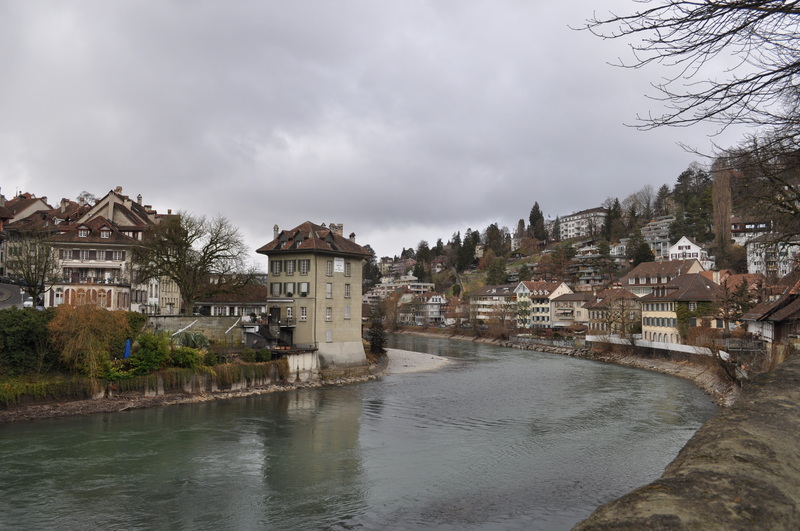 We were originally going to stay in Bern until 10pm, but we ran out of things to do and got tired of walking around in the rain. Luckily for us, Switzerland has the best train system and they allow you to hop on the train at any time, regardless of what time is on your ticket. So, we were able to head back to our hotel at 6pm, instead of 10pm. The Swiss have really figured these things out! I wish the system in France was that easy. On Monday, we had to check out of our hotel at noon, but they nicely agreed to hold our belongings for us because our return train to France wasn’t until 6pm. We thought briefly about trying to catch an earlier train, but I’m glad we didn’t. 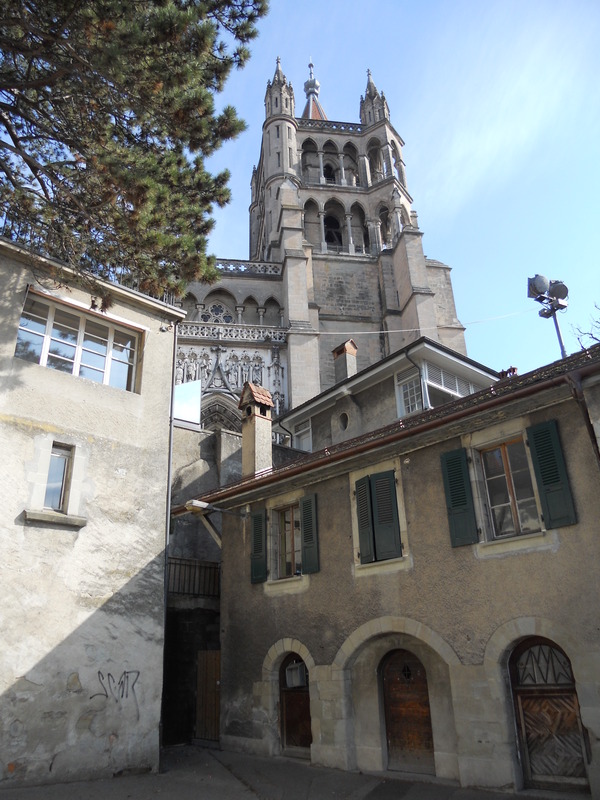 We wandered to a different part of Lausanne and saw some very cool sites. 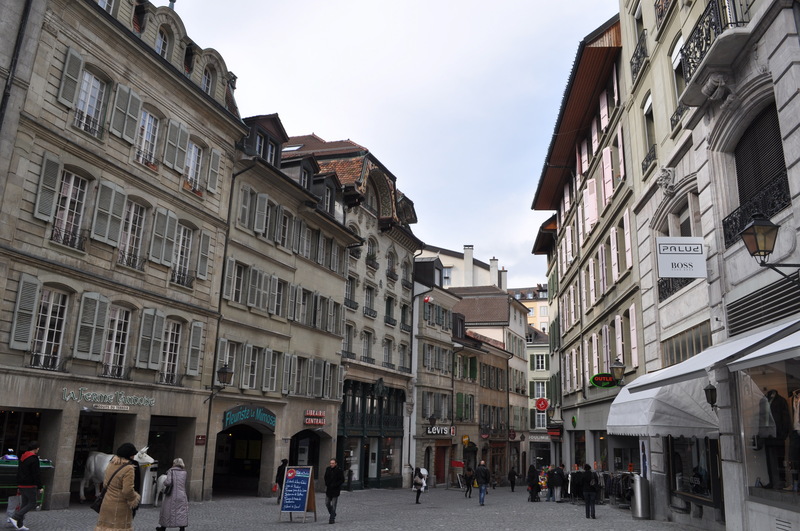 We found a pedestrian-only shopping area, visited The Notre Dame Cathedral of Lausanne, bought some delicious chocolates, and enjoyed some more good (albeit expensive) food. 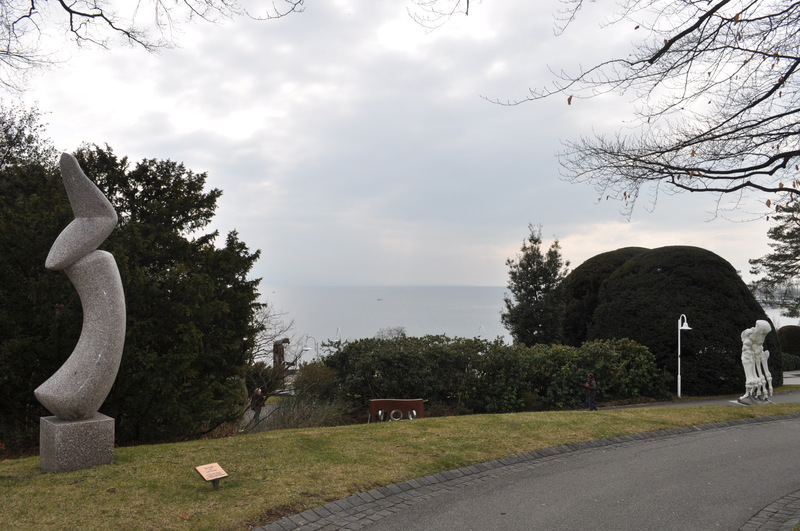 In the pedestrian-only area of Lausanne. 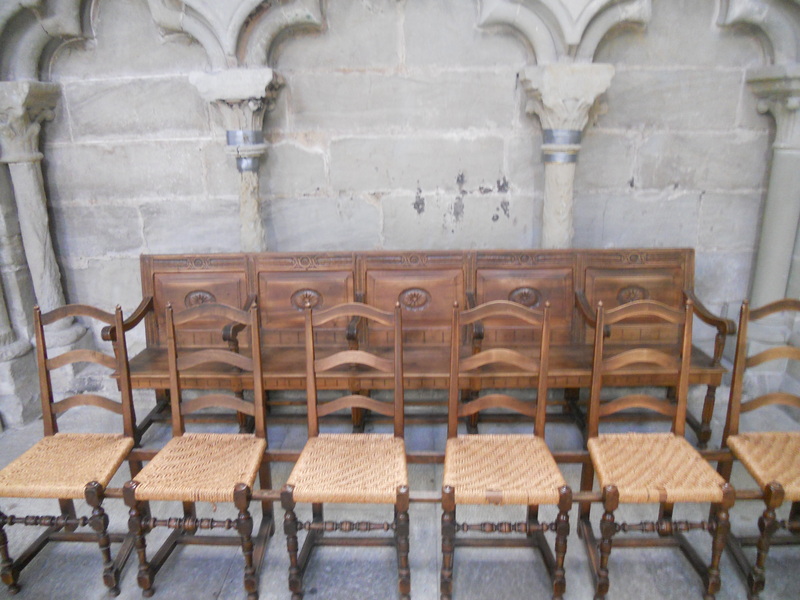 A glimpse of the Notre Dame Cathedral of Lausanne. 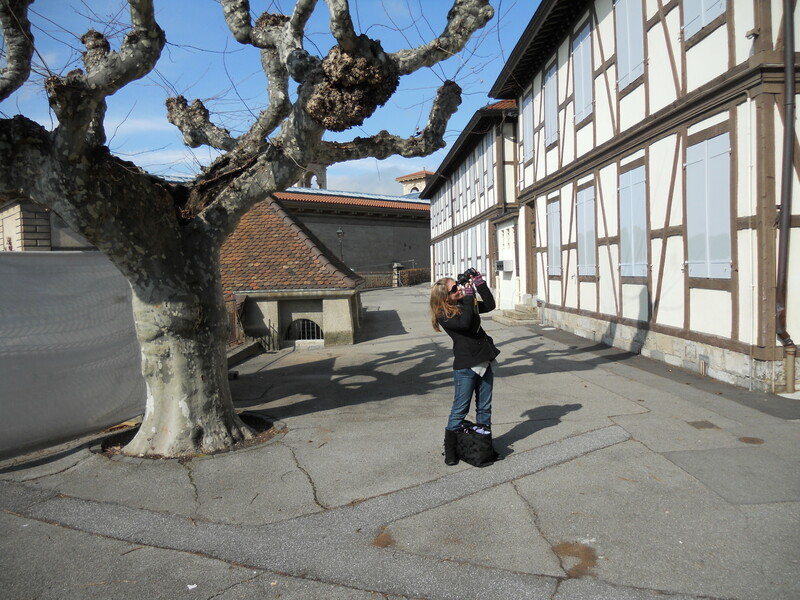 Isaac's idea of an action shot - taking a picture of me taking a picture. 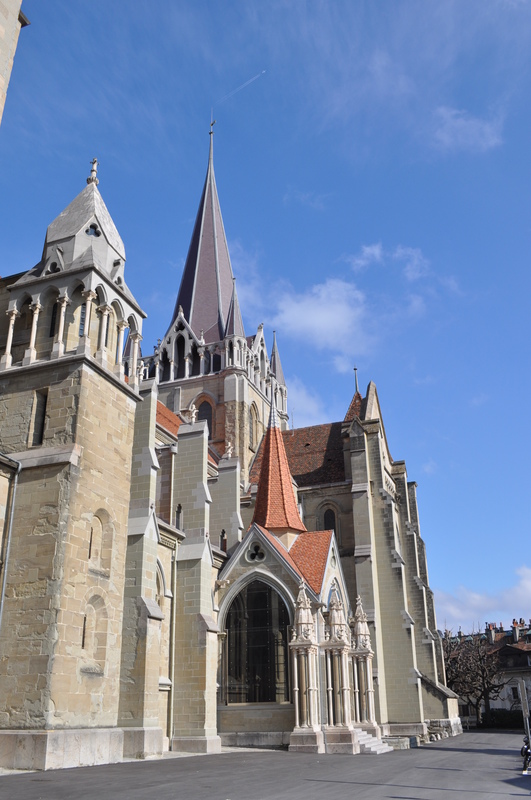 The Notre Dame Cathedral of Lausanne. 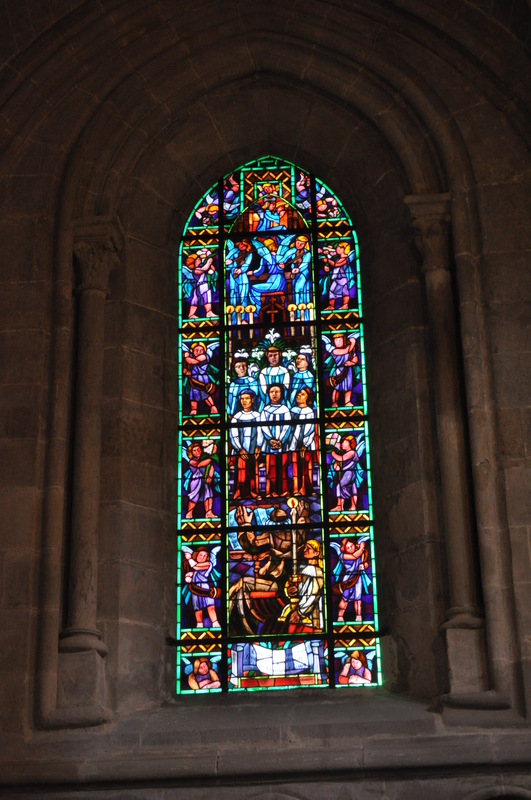 Stained glass window inside the Notre Dame Cathedral. I always knew duct tape was good, but I didn't realize it was good enough to restore medieval churches, too! Impressive. 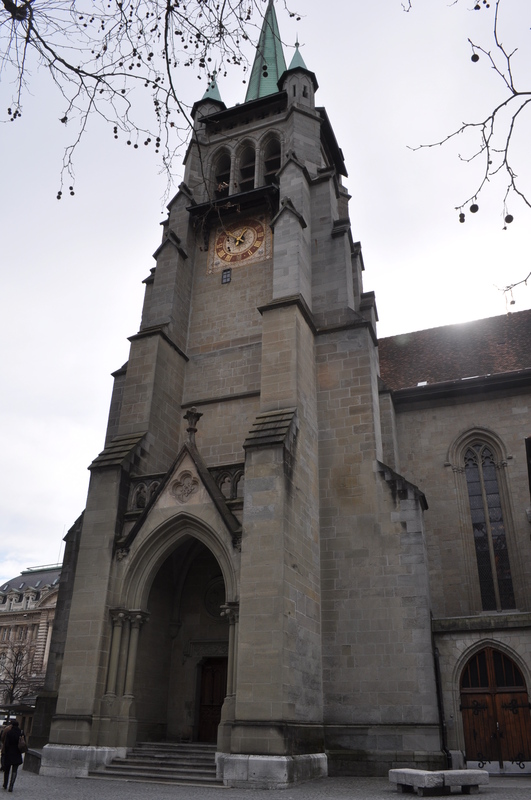 Another cool looking church in Lausanne. 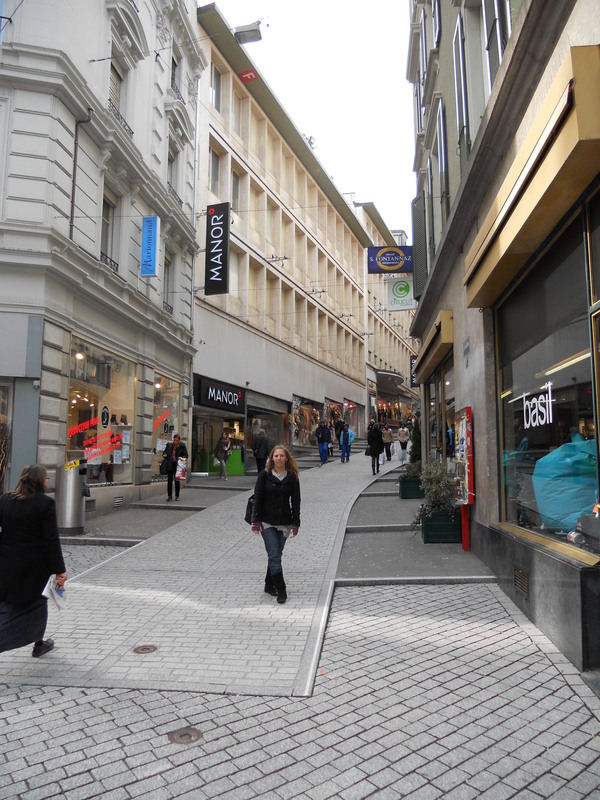 Nice, pedestrian friendly shopping in Lausanne. Isaac hanging out at a fountain in Lausanne. 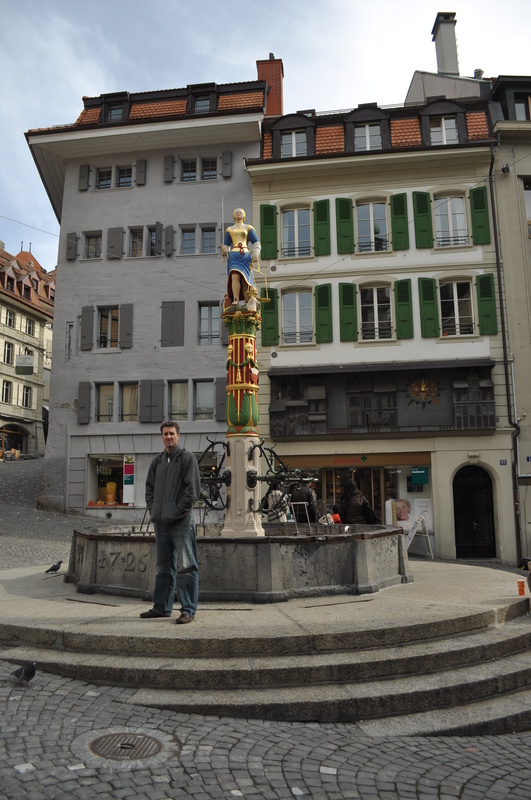 I have honestly never seen so many fountains - they were everywhere in Switzerland! Then, we boarded our train back to Lyon and Isaac got to enter France for the first time! I love your pictures!! What beautiful places you went.